Brenda and I spent our honeymoon vacation in a lovely hotel suite by the beach, Beautiful Virginia Beach to be exact. The weather was kind to us. The food, absolutely delicious. 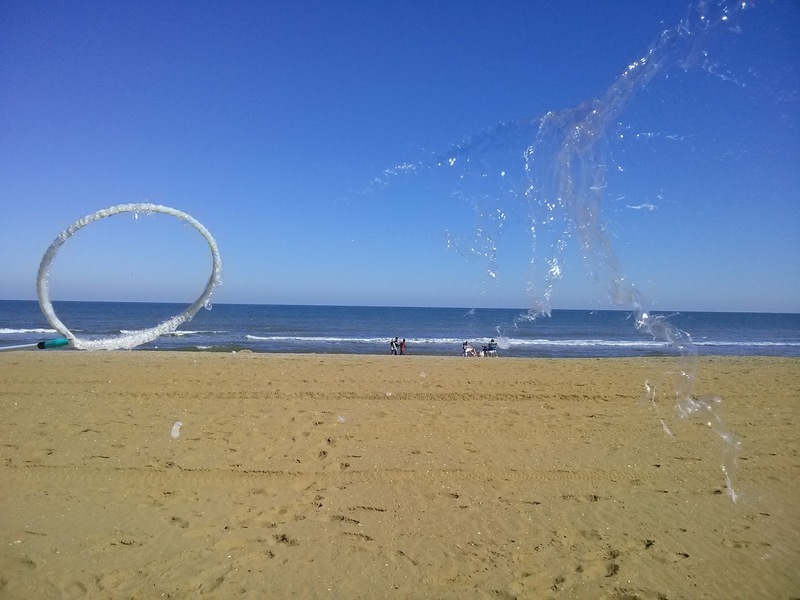 The best thing about Virginia Beach in the fall is the fact that there's only a spattering of vacationers walking, biking and sitting on the beach. That said it's like the entire beach is all yours morning noon and night. We don't pack anything that's particularly different compared to other trips. But we do prepare an anniversary love basket complete with snacks, favorite DVD's and during our stay we fill it with anniversary keepsakes. I also prepare an anniversary memories video consisting of video we shot throughout the past year starting with our last anniversary vacation. We were amazed at how much upper Atlantic Avenue has transformed into an upscale square of galleries, cafes and posh, luxury hotels. Atlantic Avenue is now where it's happening and the place to be. We were surprised one morning to see of a lively group of dolphins frolicking against lapping waves and a flock of gulls overhead. The gulls were feeding while the dolphins were wave surfing only yards from our high rise suite. Virginia Beach is alive and well in the fall. 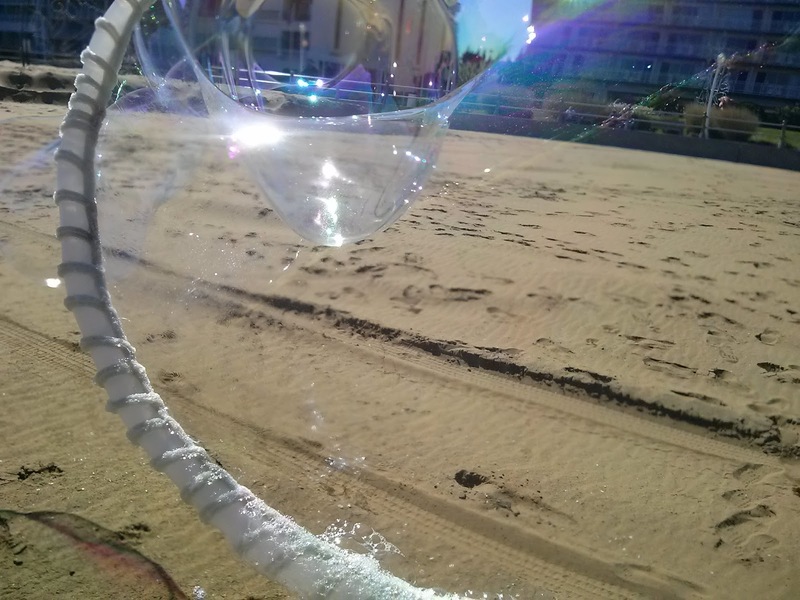 Being known as the Bubble Man back home I decided to take my bubble gear on our anniversary vacation and spend a few hours each day rolling out man sized glistening rainbow colored bubbles gently sweeping across the sand. It was a wonderful experience. 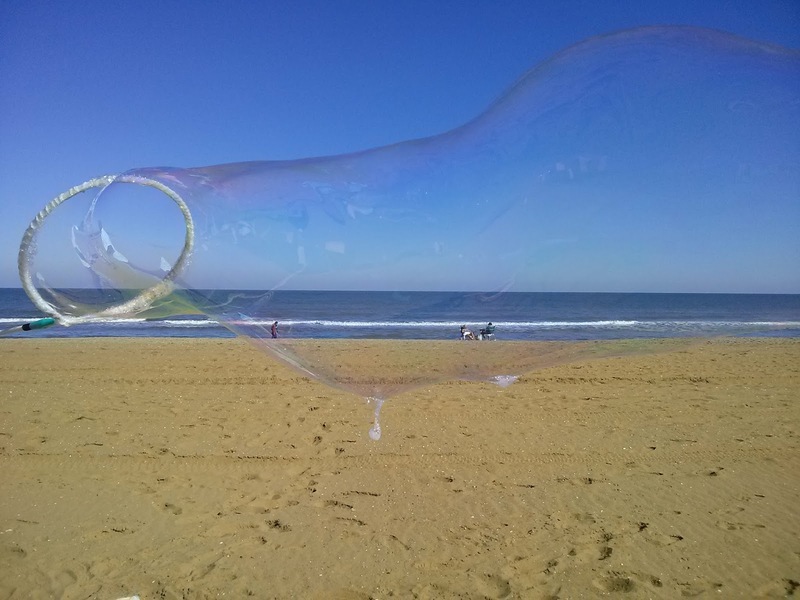 I am always amazed at the shape form and size these mega-bubbles take on a sunny low wind day. 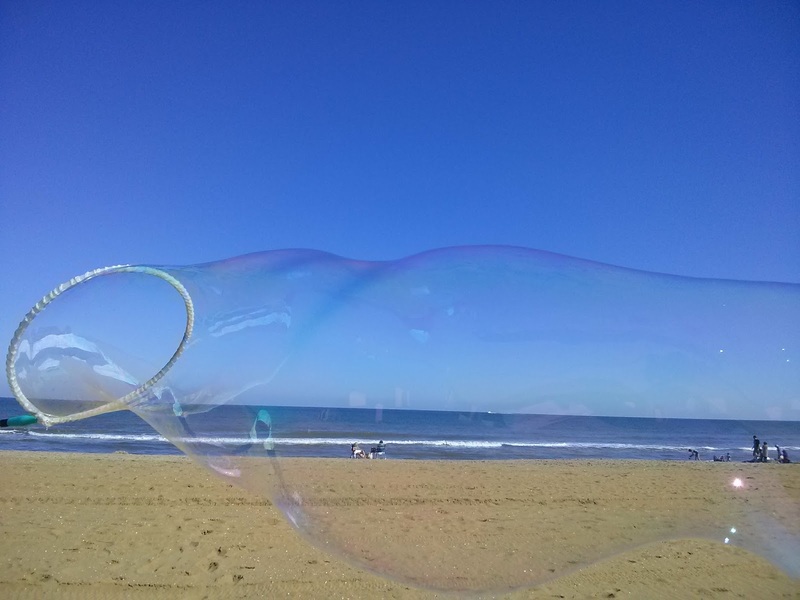 And what a good week it was, perfect for making bubble art in the sky. My most memorable moment was late in the evening when the sun went down and left a black velvet sky studded with stars. Brenda and I were sitting on the patio of our suite star gazing. 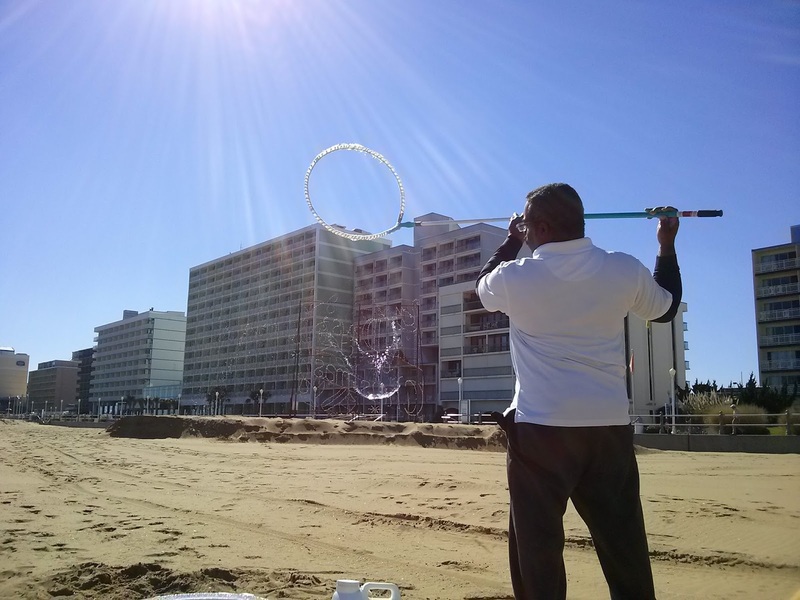 I had just completed putting the last of 72 mini bubbles wands on by home made bubble sprayer. I dipped it in my special-made bubble solution and swoosh! 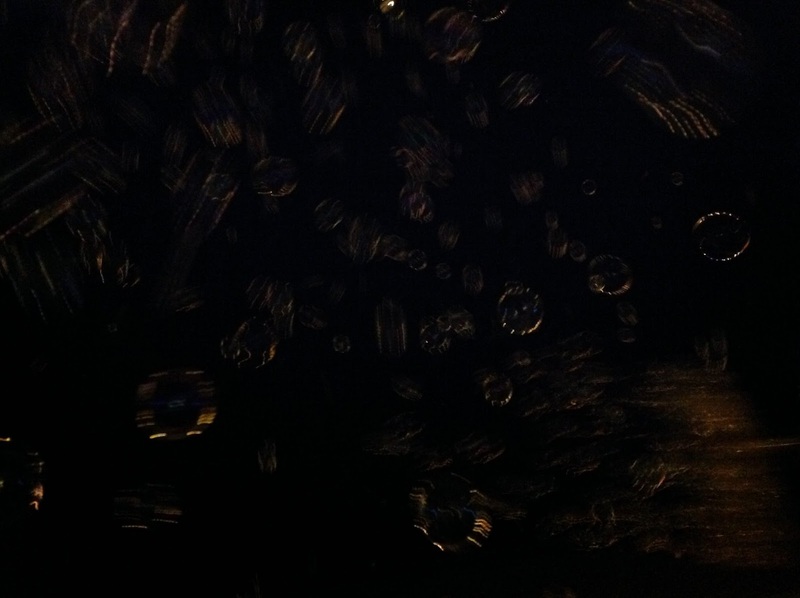 Hundreds of floating crystal pearls lit the starry sky. A thing of sheer beauty graced our 34th honeymoon night. 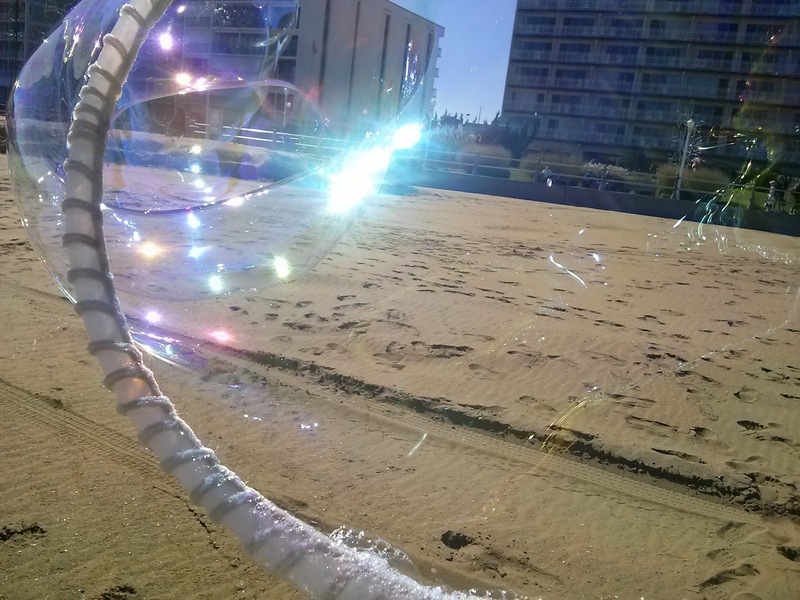 While making bubble art in the sky I always get a chance to talk to people about life, family and the meaning and purpose of life. In most cases people volunteer information about their lives without even asking. 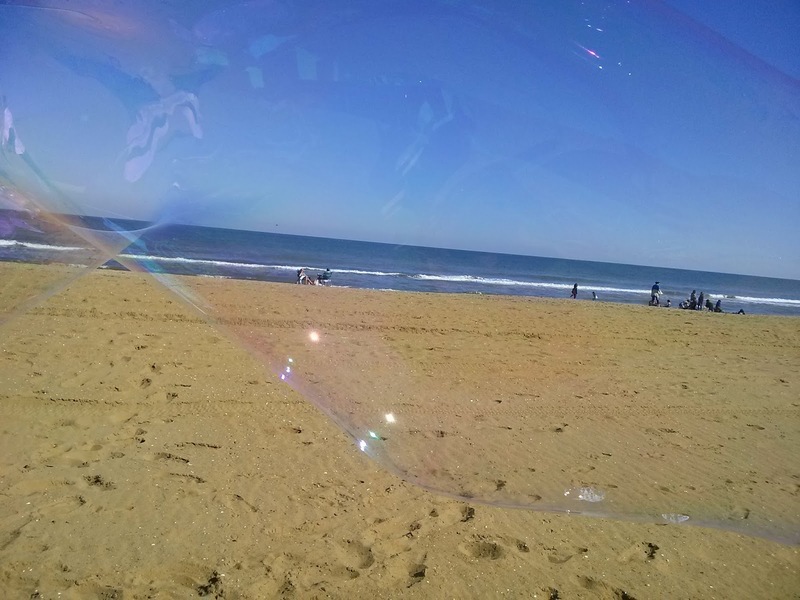 They seem eager to talk and listen to the musings and guidance of a bubble man. Why? 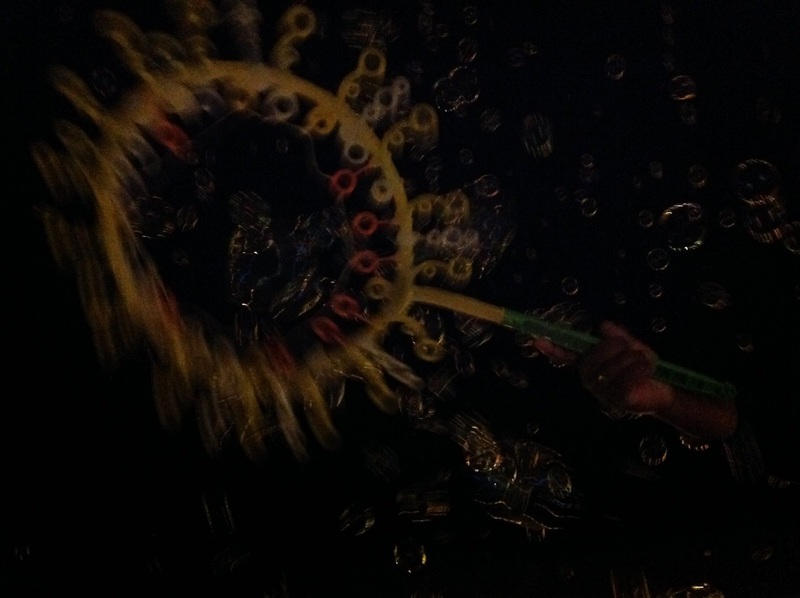 I don't really know accept the fact that anyone who has the courage to make bubbles must be listener. If you're looking for family fun activities and craft ideas for your next family weekend get-away subscribe and plus 1 and above all feel free to share.